DETROIT (Reuters) -- Workers at Daimler AG's Mercedes-Benz plant in Vance, Ala., have the highest hourly pay and benefits among employees at U.S. car factories while Volkswagen and BMW workers earn the least, a study shows. 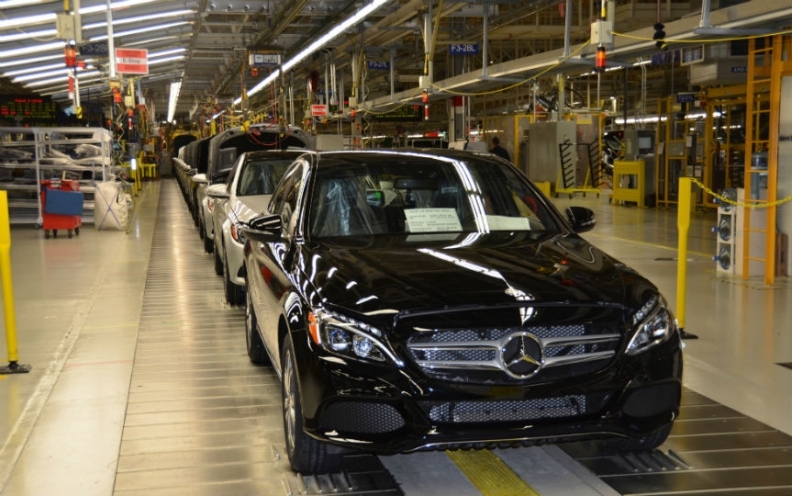 Daimler workers earn an average of $65 an hour while employees at Volkswagen's Chattanooga plant are paid an average of $38 per hour and workers at BMW's Spartanburg, S.C., factory earn $39 an hour, a study of 2014 labor costs by the Center for Automotive Research shows. Labor costs at General Motors' U.S. plants including benefits are $58 per hour. Ford Motor Co. is right behind GM at $57 per hour while employees at Fiat Chrysler Automobiles earn $48 per hour, reflecting the much higher percentage of lower-paid, entry-level workers at FCA. The study was released as UAW officials prepare for contract talks with the Detroit 3. GM, Ford and FCA are the only automakers in the CAR report whose U.S. workers are represented by the UAW. Among other automakers operating in the U.S., Honda workers earned on average $49 per hour, Toyota $48, Nissan $42, Hyundai and its corporate stablemate Kia $41. Despite major restructuring since the 2009 recession, GM and Ford still have higher labor costs than their major competitors. The $10 per hour labor cost gap between GM and Toyota translates into roughly $250 a car in additional labor costs for GM, according to data in the report. Per-hour labor cost averages include pay for temporary workers who are formally employed by outside agencies such as Kelly Services but mainly work full-time alongside workers employed directly by the automakers. Japanese automakers have the highest percentages of temporary workers. Having a high number of temporary workers reduces labor costs, CAR analysts have said.